The Project Eternity Kickstarter campaign, which launched just last Friday, had easily surpassed its $1.1 million goal before the weekend was out. Clearly, people are excited about a new, "old-school" RPG from Obsidian. 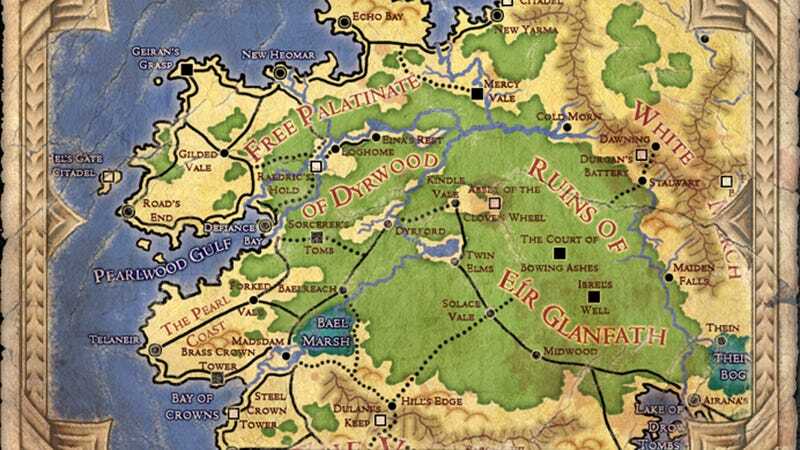 We had a glimpse at the world map and a description of the game's combat from the initial Kickstarter pitch. That, though, isn't very much information to go on. Happily, the team dropped a big pile of little details on the project page and on their forums today. And what kind of tidbits did they share? They also added a little bit of information about party formation, character creation, companions, and the races and social milieu that the player will face in the still-unnamed game. As for what they're doing with the extra money (so far $1.6 million and counting)? Well, Mac owners rejoice: the project just hit the level of stretch funding that will bring a port to Apple machines in addition to PCs.